You will be happy to know that it is extremely easy to make your own infused vinegar for cleaning with! You just need two things: food scraps & vinegar! 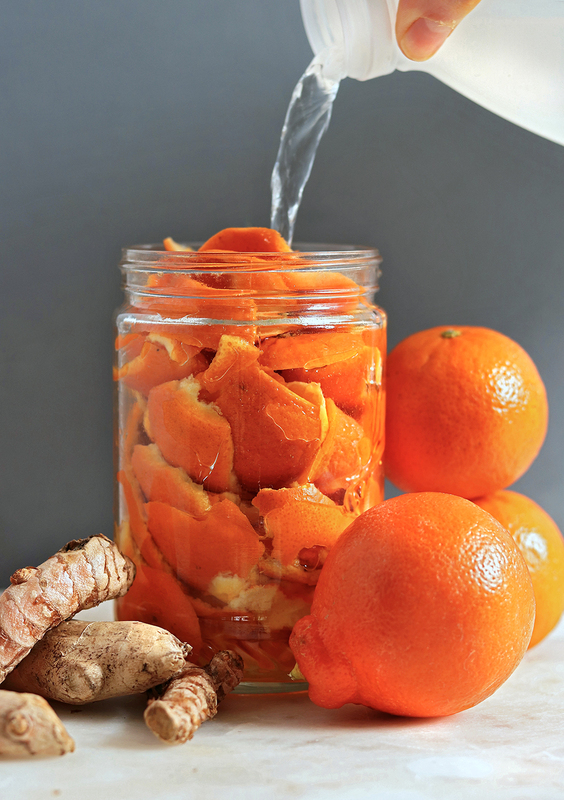 In this blog post, you will learn how to make infused vinegar for cleaning with! This mixture is great to add to a DIY All Purpose Cleaner, to use straight up in a spray for deep cleaning on areas like the tub or shower, or to mix in with an oil on a DIY Wood Cleaner!